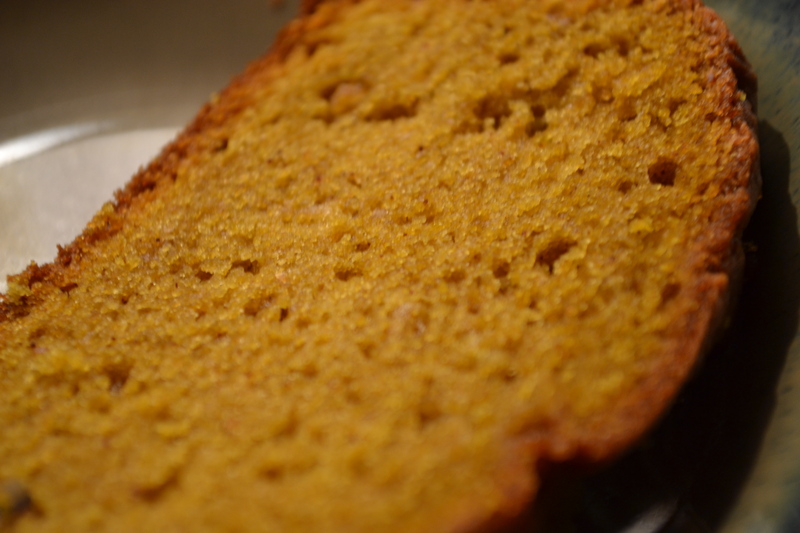 too bad i waited this long …Pumpkin loaf.. When it comes to baking a bread, there is always this dilemma to make a quick bread or an yeast bread. Making a quick bread, requires the use of sugar and butter and tons of other stuff that would add to your waistline and make you further guilty when you skip exercises for a couple of days. However, making a yeast bread is definitely worth the extra hours that you spend on it, but I wait in fear as how the bread would turn out, soft/ crumbly, rise enough/flatten out and soo many other things… and I exactly remember my reaction when I take out an yeast bread from the oven, I will be tempted to slice it and examine the texture, to connect the flaws to the prep steps…. and if it was not a success, it takes time to accept the failed attempt and regroup myself and keep motivated for the next attempt… On the other hand, quick bread is simple as mixing the contents and baking it, 80% of the time, it can never go wrong….Given the higher probability of success, I wonder of ways to make it more healthier…. In a wide bowl, combine well, the oil + eggs+ sugar for a good 4 minutes until you see a slightly thickened batterish consistency. Mix in the pumpkin and vanilla extract. On the dry side, mix the items 1 – 5 and slowly add the dry ingredients to the wet mixture by stirring in circular motion softly until all of them come together well. Now add 1/4 cup of chopped walnuts for added flavor. Preheat the oven to 350C. Lightly grease a 9×5 pan, pour the mixture, and bake it for 55-60 minutes. Once done, let it cool completely for a good 1 hour before slicing. The bread will be dense and just a single slice is sure to fill you well for a good 3 hours. I should have added 1/4 cup of sour cream for a creamy and tangy flavor and cut back about 2 eggs. Yum.. 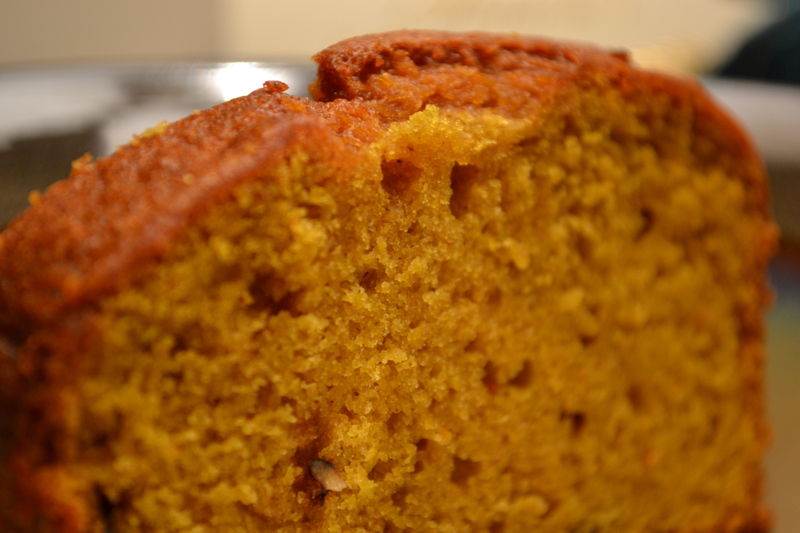 I love anything with pumpkin!